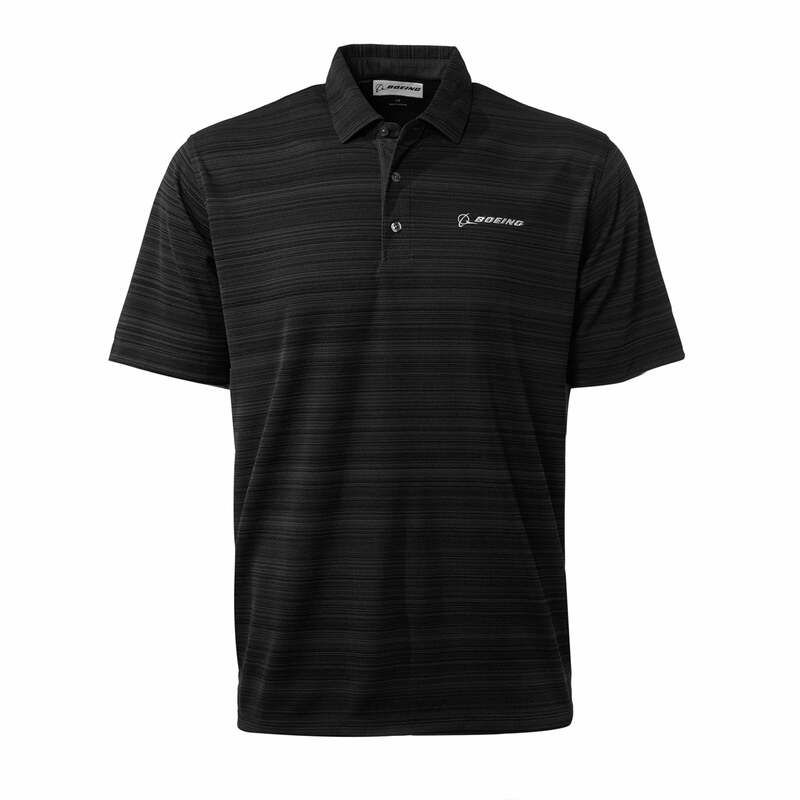 Subtle woven stripes add visual and tactile interest to a comfortable, stylish golf polo shirt. 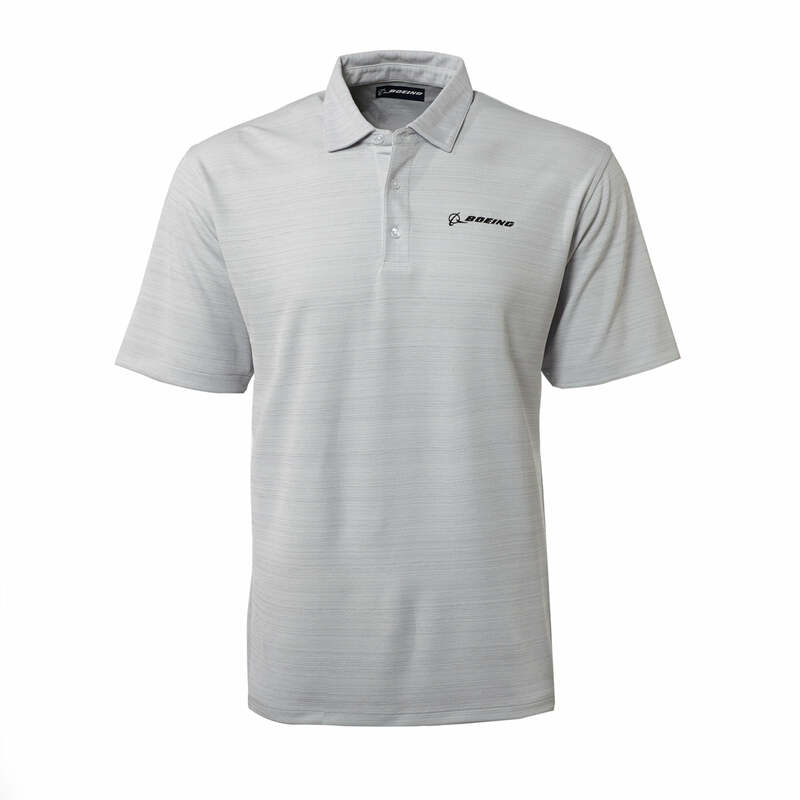 Variegated texture on the outside reverses to a smooth surface on the inside of this 100% polyester shirt that features moisture management to keep you dry and cool. 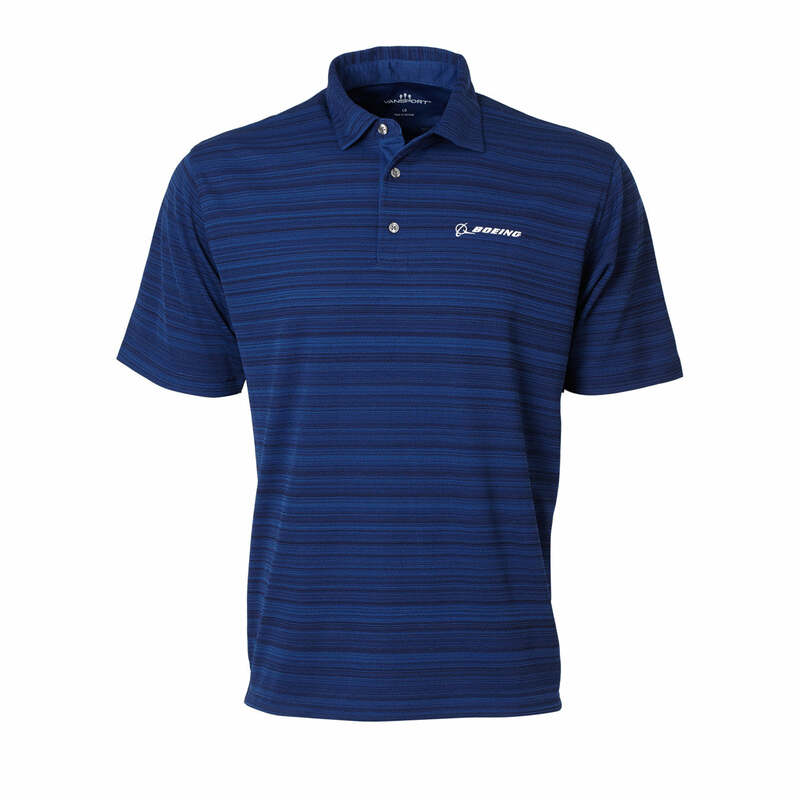 It's styled with a self-fabric collar and tagless label, with the Boeing logo embroidered on the left chest. Imported.